Award-winning Microgaming is an Isle of Man based developer that’s been at the forefront of online casino games since 1994 when they launched the Gaming Club. Their titles have paid out over $100 million in progressive jackpots. They produce a range of online games from poker to bingo, live dealer games to slots, and the one thing in common with them all is they are great to play and really awesome to look at. 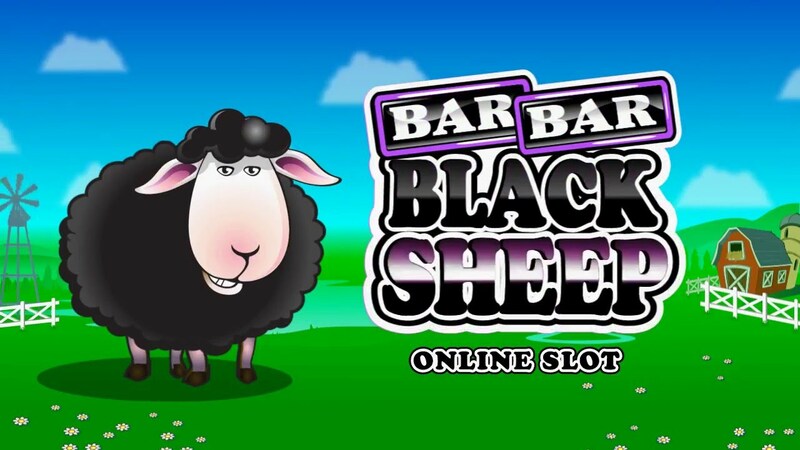 You’ve got to give Microgaming credit for the opening to the game “Bar Bar Black Sheep have you any wool? Yes sir, yes sir, 5 reels full!” and from that, you can take this is a 5 reel game with 15 fixed paylines. How much you stake on your spins is up to you, coin values range from 0.20 – 5.00 credits with a max of 3 coins so your max bet is just 15.00 credits. There’s a 95,000 credit jackpot so there will be a fair amount of variance in wins. 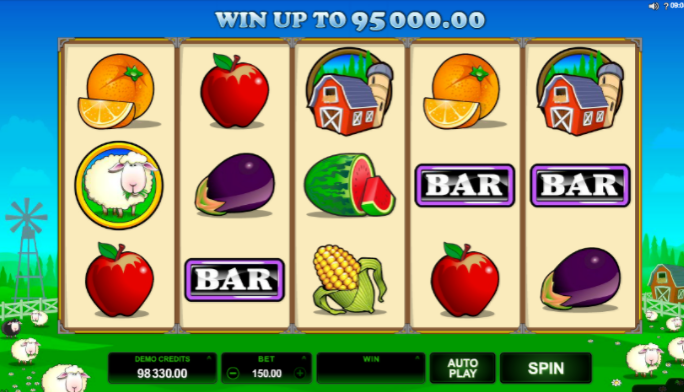 The controls are nice and easy to staking your bet is nice and simple, as is selecting the autoplay feature. On the paylines you’ll find lots of animated sheep, a barn, bags of wool and some farmyard items like ears of corn. You’ll be looking to land 3 or more of the same symbol in a row to get your hands on Bar Bar Black Sheep’s bags of money. 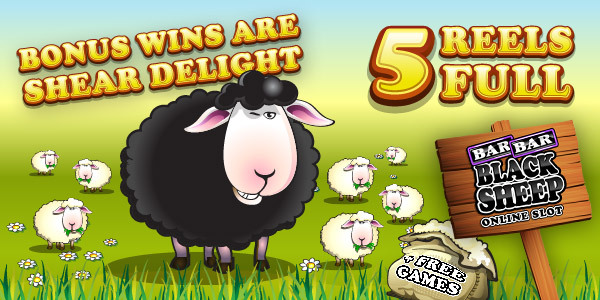 Wool scatter – If you land 3 bags full, or more, of the wool scatter anywhere on the reels you’ll be rewarded with a free spins round. We have got to be happy with that little reward. Black sheep wild - The Bar Bar Black Sheep is one you’ll want to show up regularly in the free spins round as he will 3x multiply any win. This wild only appears on the 3rd game reel so is less likely to be useful during single spins. That is unless he has two single bars before him, if these planets collide the wins will be off the scale – get yourself single bar/single bar/wild and you’ll get a random multiplier and up to 999x your line bet! Blimey. This is a really nice game from the Microgaming stable. They’ve produced similar Nursery Rhyme slots like Georgie Porgie and Jack and Jill and if you like those you’ll enjoy playing this. It’s a well-constructed game that’s fully compatible on all devices, mobile, laptop, tablet and desktop so you can take Bar Bar Black Sheep with you wherever you go. Keep your eye out for the bar/bar/wild combinations and you’ll have more bags of prizes than you can carry!